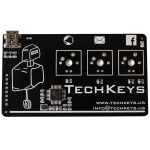 This project is an electronic business card for TechKeys, a company selling mechanical keyboard accessories. 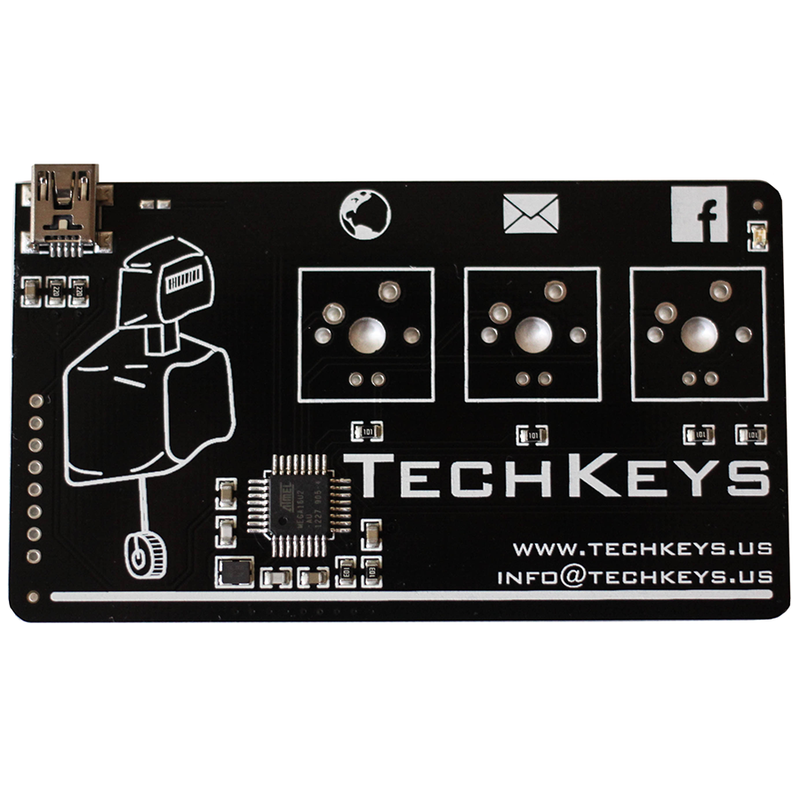 The card is a simple reprogrammable electronic device which acts as a computer keyboard when connected using USB. The user can solder three LEDs and three Cherry MX switches, which will take them to the TechKeys webpage, facebook page and e-mail. It uses a simple USB-enabled chip, Atmel's ATMega16u2 and features 6 extra breakout pads for hackers to use it as a simple USB development board. The device is finished with a glossy black soldermask and white silkscreen with the company logo and component outline. The time from idea to production was about half a year, but most of it was spent on waiting for prototypes and parts to arrive and making important decisions with the client. The actual design time of the electronics was about 8 hours. Example firmware source code coming soon! I bought one of these about a week ago and it is amazing! was wondering if any one knows when I can buy the supplies/separate elements to make more of these my self? I don't know. I don't think there were any plans to supply DIY kits.